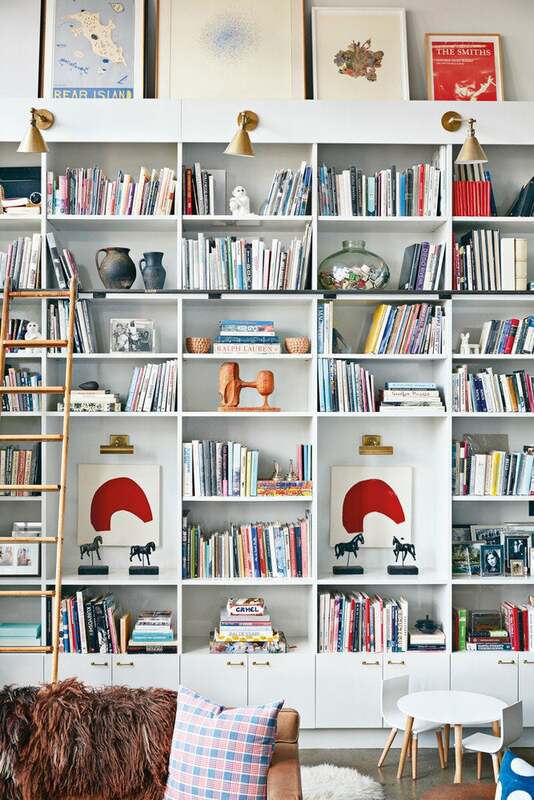 The anatomy of a well-styled bookshelf typically entails a handful of essentials. At the core of it, you have a curated scope of titles, often organized by theme, color, or book size. From there, small trinkets, art, and decorative objects will be thoughtfully layered in, and more often than not, there will be a selection of potted greens added in for an element of liveliness. But when all is said and done, there is one particular staple that tends to go unnoticed: bookends. Often likened to a utilitarian staple, bookends are crucial to both the form and function of a well-styled shelf. The pieces ahead prove the decorative versatility and prowess of the underrated item. See for yourself. The simplicity of this one is about as inspired as it gets. Its minimalist form is further elevated by a lustrous brass composition and intricate detailing. Its captivating color aside, this bookend’s sculptural qualities are met with a streamlined form and hint of whimsy. Crafted of white Carrara marble, this unique pair exudes a bold dose of contemporary elegance. For the artful collector with an architecturally inclined style, these brass bookends possess equal parts form and function. Handmade from lava rock, this subtly textured pair will provide plenty of support, both decoratively and figuratively. Who knew cinder blocks could ever look so chic? This colorful concrete rendition promises a departure from the ordinary. Give your shelves the daring burst of style they deserve. These cubist-inspired bookends come in two chic colorways and boast a sleek metallic accent that seals the deal. Crafted of solid brass, this one emulates streamlined minimalism at its finest. Pair with a color-coded shelving situation and allow it to stand out even more. In true Scandinavian fashion, these sleek pieces are minimal yet impactful and will allow your collected titles do all the talking. The fact that this one comes with a versatile scope of functionalities is what really sets it apart from the rest. Well, that and it’s less than traditional form, which was inspired by the architecture of the Dome in Milan.